A number of Fleetwood Mac fans are upset after missing out on tickets to the band's two Auckland shows December 6th and December 7th. Tickets went on sale at 9am (June 13th) and were sold out within minutes. Fans have their fingers crossed for a third show. 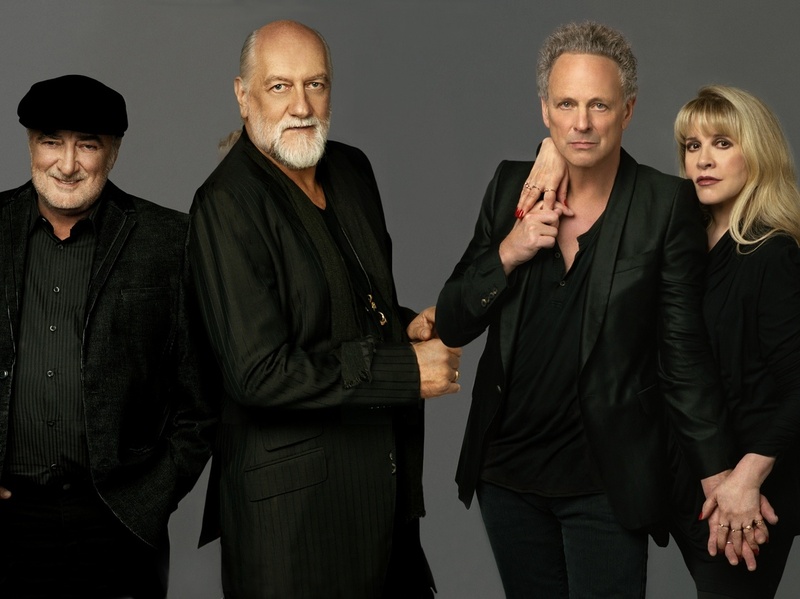 Tickets to legendary rock band Fleetwood Mac sold out in 15 minutes after they went on sale this morning. When sales opened at 9am there was a "phenomenal demand" for tickets to the two shows on 6 and 7 December at Auckland's Vector Arena. Including the three rounds of special presales, all of the estimated 24,000 tickets were sold out by 9:15am. There were no surprises the tickets sold so fast. "Judging by the demand within the three pre sales, we were thrilled," said Bridget De Launey, publicist for the concert. But not everyone was as happy. The huge demand created issues for the Ticketmaster website, leaving Fleetwood fans without tickets. "(We are) very disappointed that Ticketmaster's website is not robust enough to cope with the demand and we imagine there will be a lot of very disappointed fans out there," said ticketless fan Maria Lewis. "The reservation of expensive tickets for premier customers means the real fans miss out," she said. "Ticket purchasing should be fair for everyone despite the purchasing power of the fan. Why should we be penalised because we want the cheaper tickets?" Lewis said. This isn't really a solution but might be for some of you that didn't get tickets to either Auckland shows. There are two pricing structures either $425 or $375 - both purchases include a meet and greet with Mick, PLUS you get a seat guaranteed either in the first 5 rows for the $425 or within the first 20 rows for the $375. Trust me it's a cool experience, I did it myself. When you consider a fairly decent ticket to the show is going to cost you $200 bucks anyway, the $425 or $375 isn't really that much more when you consider you get to meet Mick, go up on stage, get your photo taken with him and get that guaranteed seat in the front, which is highly sought after. So if you have the extra funds and want a really neat experience, I highly recommend it. Iam absolutely gutted! I have been a fan since I was 16yrs old Iam now in my 50's. I spent hours on line to get no where for pre-sale tickets. Drove miles to nearest 'Ticketmaster' outlet @ 630am for general public sale, standing 2nd in line,waited 2 hrs, 1st person buys 5 tickets then suddenly, its all SOLD OUT. This is appalling! The Venue chosen by Fleetwood Mac's promoters is responsible for not getting a venue large enough to cater for the demand in New Zealand. I think under the circumstances a 3rd show needs to be organised, and I know I speak for thousands of New Zealanders! Would have helped if agents selling the tickets had a clue as to what they were doing!! online site was crap couldn't cope with the demand. Were they thinking some one like Fleetwood Mac would not sell tickets? Why is New Zealand always behind the rest of the world? Do we not have a stadium where big name artists can perform? There's more than a few fans of Fleetwood Mac and other big name artists who wish to see them perform. Always the real fans who misses out. Been tickets for sale on Trade Me already! They must have been a real fan, yer right! Tried for hours and got nowhere yesterday, then this morning the ticket master site could not cope, nearly had two tickets but then the site crashed and when I eventually managed to gain access again there were no tickets left. Totally gutted. No outlet to queue and buy Tickets in our Town. Online website could not cope with the demand and kept crashing.Unless you have an Amex Card you could not buy any Tickets in the pre-sale. Absolutely gutted. Like others have said, Tickets already onsale on Trade Me for outrageous prices. I have been a fan since I was 15 and have never seen them live. I updated this post with Mick Fleetwood VIP Meet and Greet Ticket information for the NZ shows. There are seats available to the show by purchasing one of these. It's not a solution to the many fans left out because of the sell-out, but it might help a few of you see the show and meet Mick. Mickfleetwoodofficial.com is the website. So guttered we missed out on tickets to both Concerts we went to see them at the Bowl of Brooklands and love them!!!!!! we so want to go!!! tried for hours to get tickets online what a bummer so p***ed to miss out love them so much!! bring on a third concert please guys!!!! Once again missed out on tickets for 3rd show!!!! Try to buy a ticket at 11 am and nothing happens ! !SOLD OUT!! And then what makes matters worst tickets for this concert on the 4th Dec are now of *%##@@ Trade Me for over the top prices !! How is that fair NZ!